Ossian Borén is an artist, game designer and lecturer based in Göteborg, Sweden. Ossian graduated in Fine Arts at Konstfack University of Arts, Crafts and Design in 2013. Ossian has since practiced and further explored art, pedagogy and game design with personal projects as well as freelance workshops, game jams and lectures. Check out Ossian's resumé below. 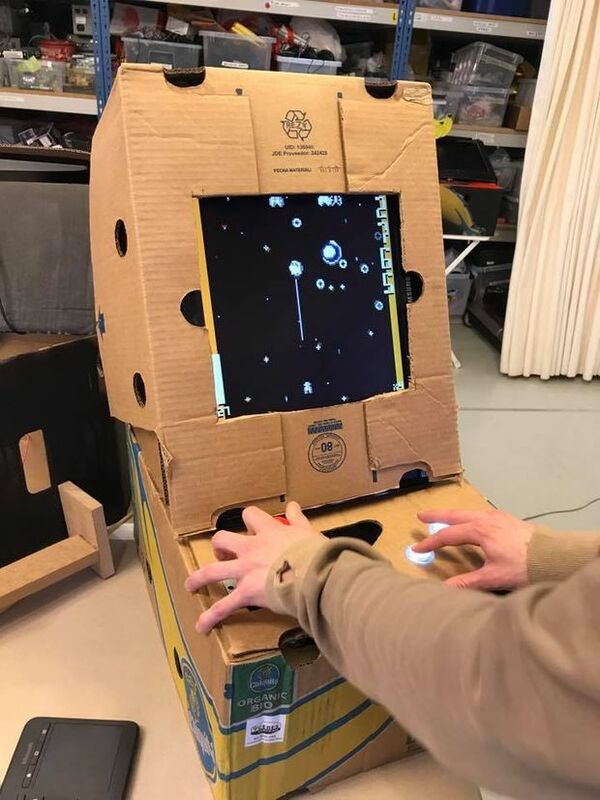 A work in progress, the "Hackman" project is an upcoming Multiplayer Online Roguelite inspired by Pac-Man. 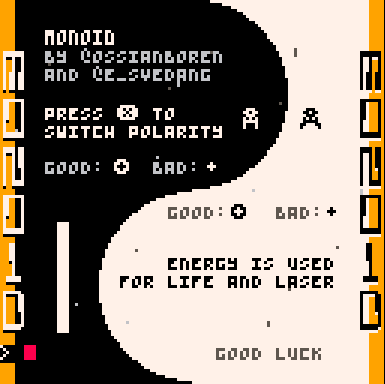 Screenshot is from an unplayable prototype made in PICO-8. Project Hackman is a collaboration with OutBreak Studios. 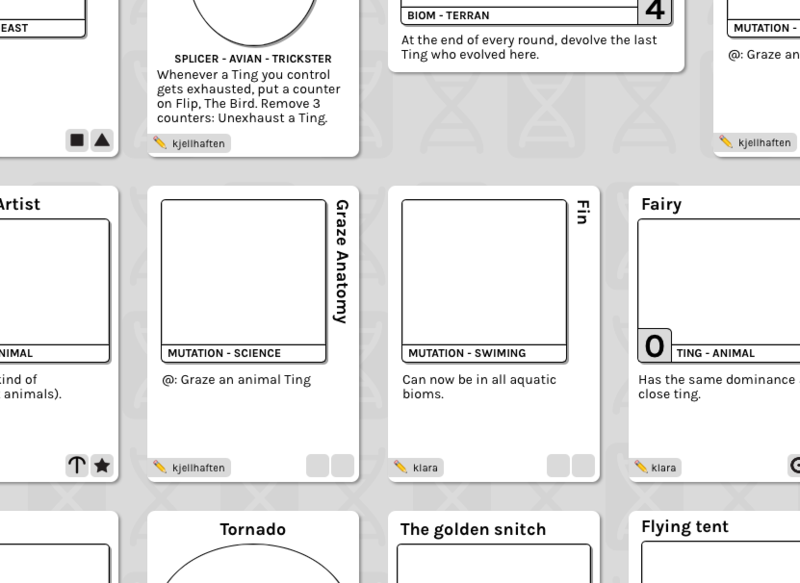 Splicers is card game where anyone can make their own cards and play against each other. The website makes it super easy to manage your designs and print them out. What are you waiting for? 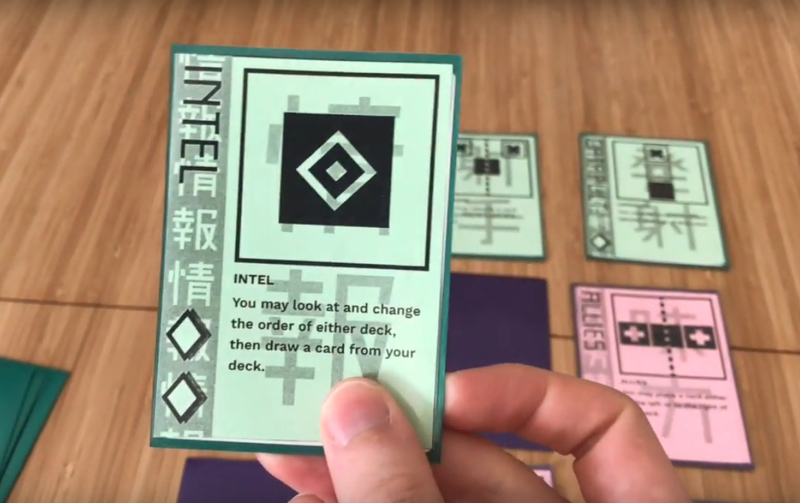 Kinjo is a simple card game for two players. A game takes between 10-20 minutes. Each player has a deck of 9 cards. 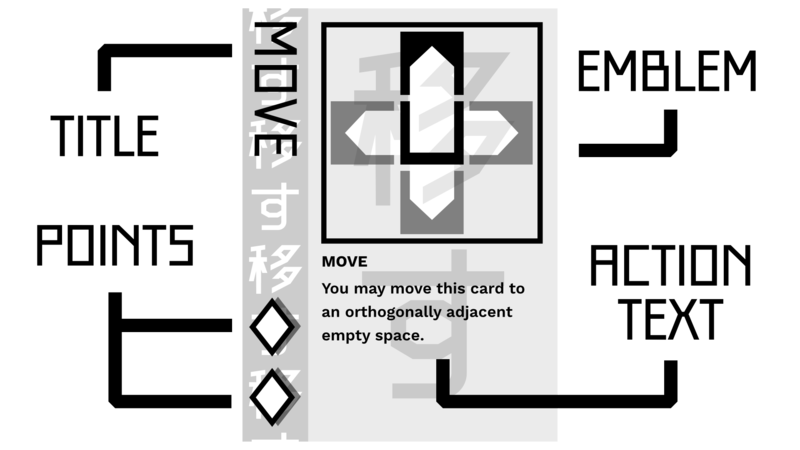 Some of the cards are laid face down in a 3 by 3 square forming a board. Each turn you draw a card from your deck and replace one of your own cards on the board with one from your hand and resolve the ability on that card. The goal is to control as much of the board as possible with your cards. pod3x3 is a somewhat unusual take on the RTS genre, with the constraints of the 2 player 8 bit pico-8 console in mind. The result is something more in likeness to a fighting or dogfighting game — a game of zoning and feinting to get the upper hand of your opponent. Easy to learn, hard to master. pod3x3 can be played 1 vs 1, vs AI or AI vs AI. 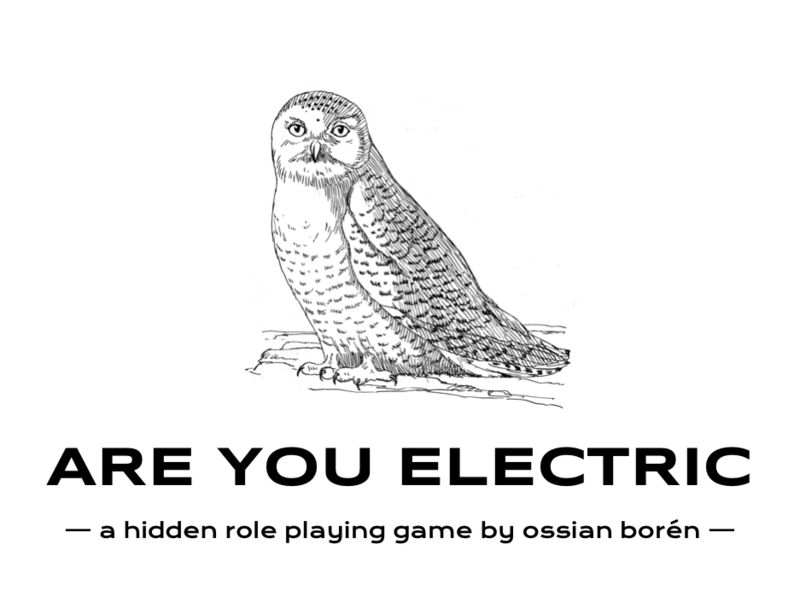 ARE YOU ELECTRIC is a board game in the vein of other "secret role" games like The Resistance and Spyfall. It's gone under several different names, more prominently as "The Imitant Game". The original inspiration came from the Voight Kampff Test from Blade Runner, which in itself is a nod to the Turing-test, and that test is referring to the original "Imitation Game". In a world before computers, the Imitation Game was an experiment to see whether you could know if a person was Male or Female depending on their text responses to a set of questions. My game puts 3-8 players in a world similar to the film where humans are looking for rogue androids (here called imitants) and "retire" them. The imitants just want to survive by any means necessery. Below are the rules and the Print n Play files for you, please share them with your fellow sci-fi fans! This is a kit to help you create a friend using some dice and imagination. BRAIN FRIEND is an experiment in defining artificial intelligence. If we consider the human brain as one of the most complex computers there is, what is really hindering us from using part of if to power another entity? The problem is that, normally, we only have access to one singular consciousness, one singular ”being” when we experience life. We are, however, experts at role playing. Many of us had imaginary friends while younger and many play out conversations with other people (with their own agency) in their head. This form (that you can download below) should kickstart that role playing process, and off-loads some of the friend’s agency outside the brain to minimise confusion between the self and the brain friend. Have fun! Show your emoji is a card game consisting of a set of popular smiley-emojis. Rules Take turns being the ”first” player. The cards are shuffled and then a card is dealt to the first player. Only that player may look at the card. That player has to copy the expression of the smiley with their face. 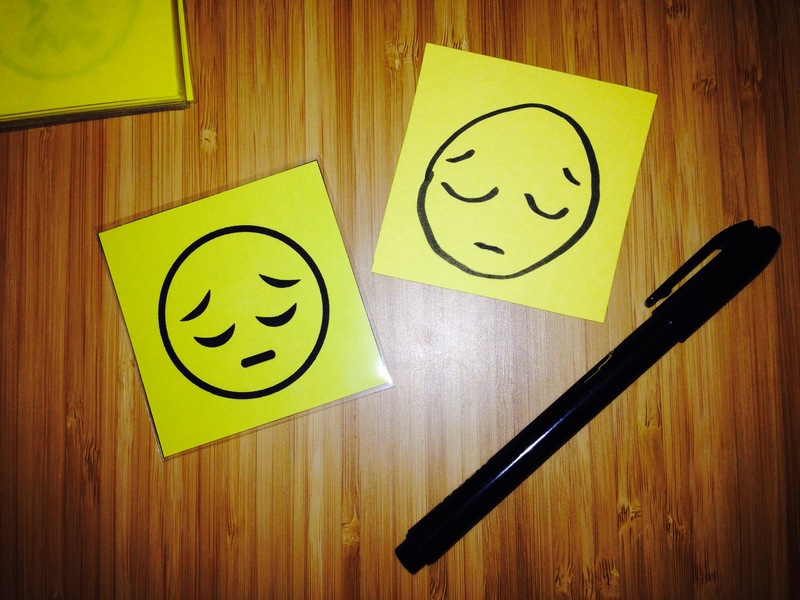 The other player must look at the first player’s face and draw a smiley (on a post-it) that matches their expression. Reveal your smileys to see if they match! If you like, discuss how it felt to make the expression and to look at each others faces. do you usually make these expressions? 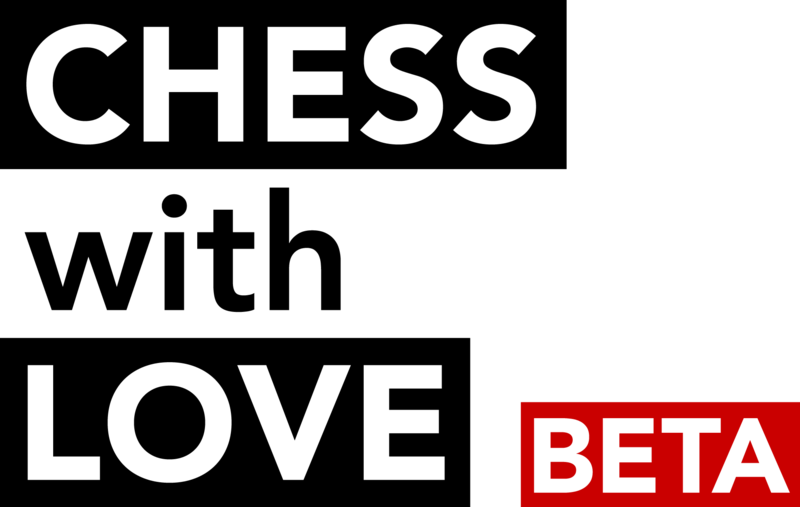 CHESS with LOVE is a Chess variant that adds a somewhat simple rule and does some slight changes to the base game, radically changing the way Chess is played and experienced. It turns a strategic game of war into a strategic game of war with respect to one of the most fundamental and unpredictable aspects of life: love! 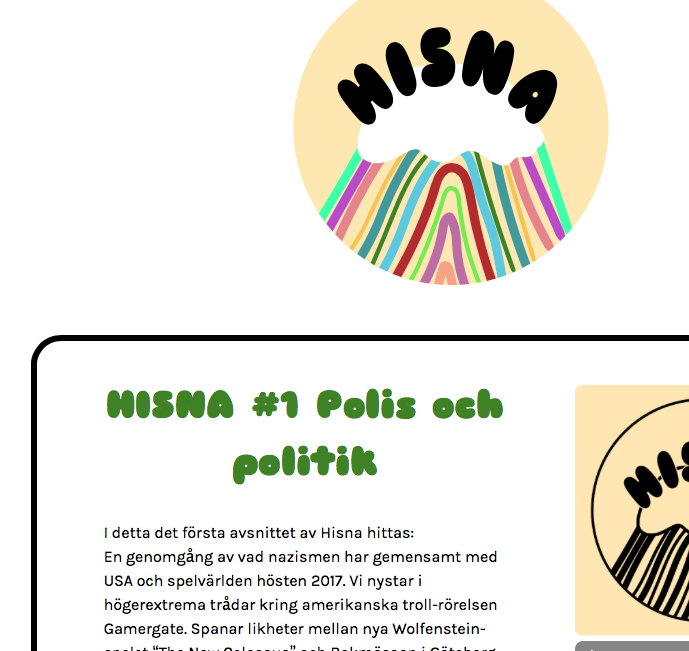 Hisna (which translates roughly to being "giddy") is a podcast in swedish on games and culture with me and my good friend Dev K. Fridén. Art direction and logo by Terese Thulin. I'm doing administrative work + the jingle and the website. Make sure to listen to us if you speak like a swede! Lil' Trash Prince is a microgame made as part of a collaborative Pico-8 project. A Pico-8 game contains a very limited amount of memory, sounds and graphics (like a computer game from the 80's) and "Collab16" was an experiment in dividing that space, fitting 16 different games into one "cart". I made my game, inspired by Katamari Damacy (from @KeitaTakahash) where you have to collect reused sprites from all the other games. When I don't play or make games, I talk about them, or in this case, write about them. 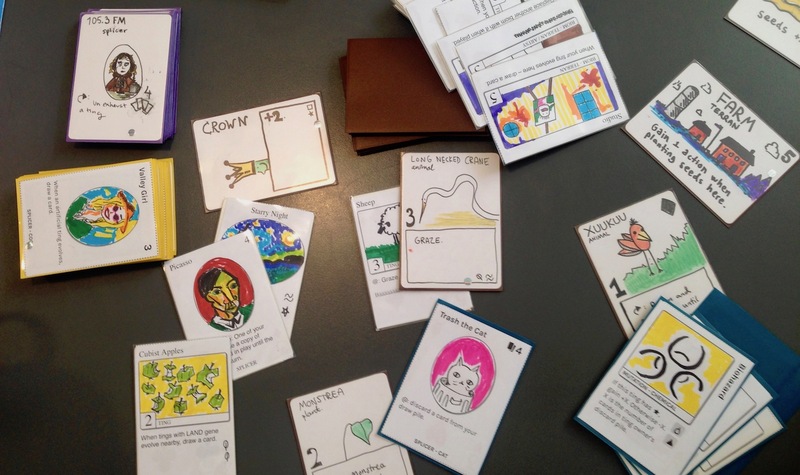 "If you have something to say, make games" is an essay where I reflect on making games as art things, as well as on making the "show your emoji" card game. The pdf is an excerpt from the book Art and Game Obstruction, Rojal Press 2016. My first PICO-8 project, a procedurally generated animation meaning every playthrough is slightly different. Headphones recommended.